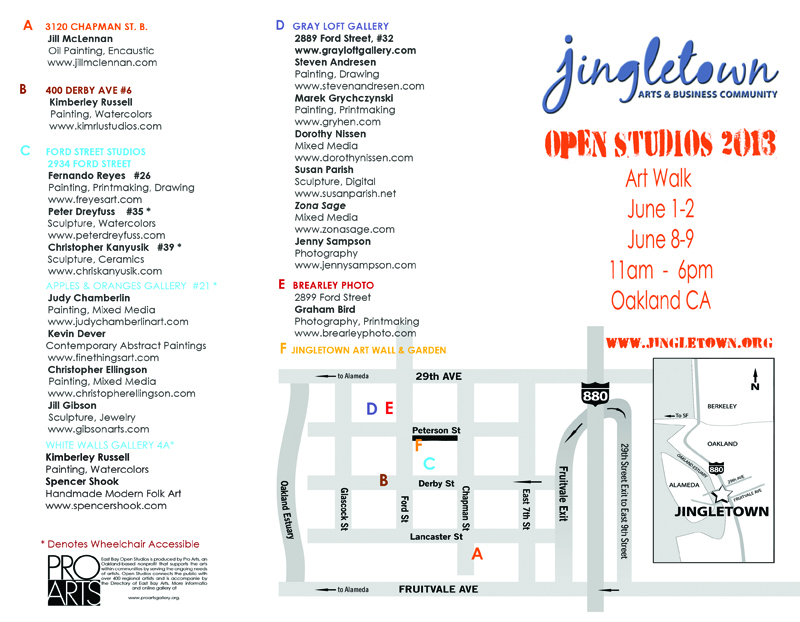 Jingletown will have amazing art for sale in our annual East Bay Open Studios. Come join over 15 artists who open their studios and galleries for two weekend filled with art, food, and fun. Walk down the Peterson Garden & Art Wall. Experience the neighborhood street art. 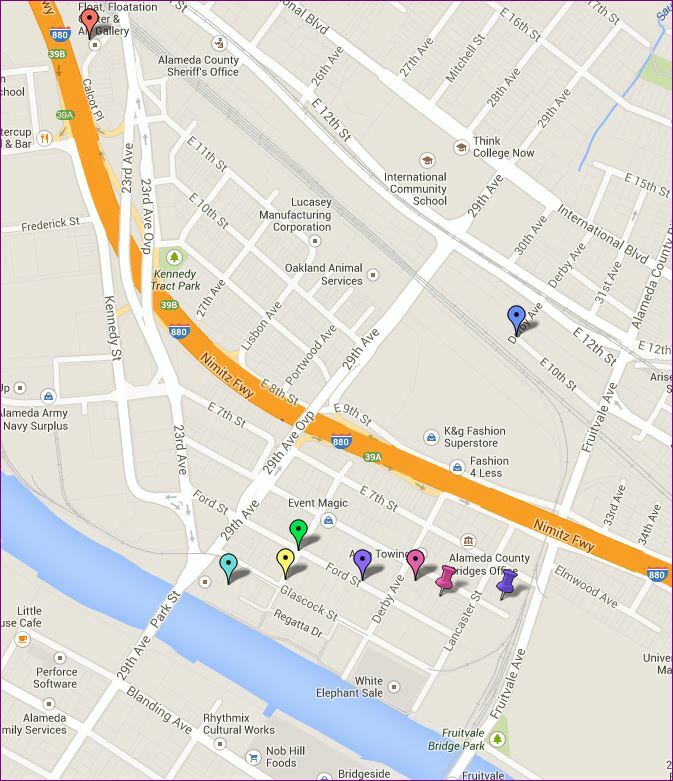 Want to participate in a fun art walk event? 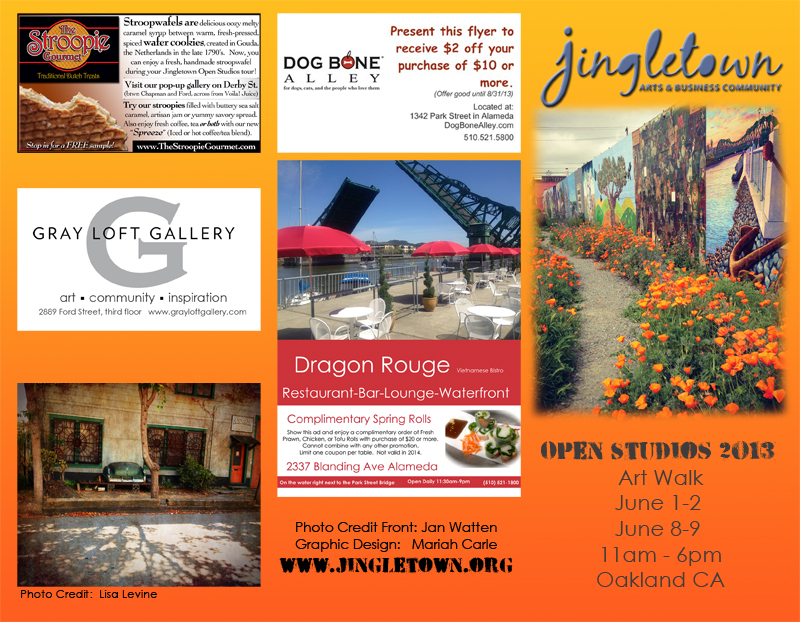 It’s time to start thinking about East Bay Open Studios (EBOS). We had a great turnout of Jingletown member artists last year and a great turnout of art enthusiasts and collectors during the two weekend event. East Bay Open Studios (EBOS) is sponsored by Pro Arts, an arts organization that promotes various art exhibitions and programs throughout the year in the East Bay. Last year, over 400 artists participated in last years East Bay wide event.